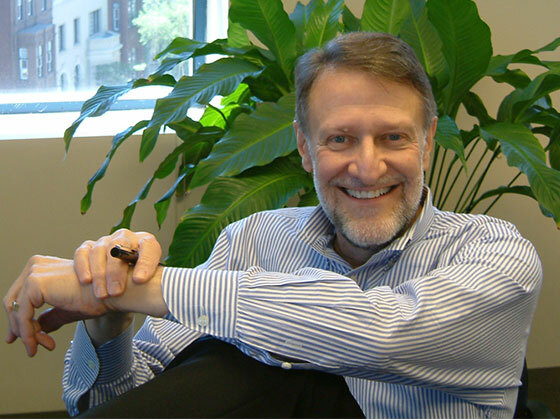 The Board of Directors and staff of the Guttmacher Institute are devastated by the loss of our distinguished and beloved colleague Cory L. Richards, who died of pancreatic cancer on April 4th, 2013, at age 64, at the Washington Home and Community Hospice in Washington, DC. After almost 40 years, including 25 as part of Guttmacher’s senior leadership, Cory leaves a profound mark on our organization and on those who were fortunate enough to work with him. The passion and vision he brought to his work, as well as his wit, confidence and courage, will be missed sorely by his family, friends and colleagues. Born and raised in Omaha, Nebraska, Cory graduated from Central High School in 1966 and attended Yale, graduating in 1970. Following a position with Rep. Peter N. Kyros (D-ME) on Capitol Hill, through which he first became involved in public health issues, Cory joined the Guttmacher Institute as a policy analyst in 1975. He was appointed vice president for public policy in 1988, senior vice president in 2000 and executive vice president in 2008. As executive vice president, Cory inspired and nurtured the Institute’s evolution into a leading think tank on issues related to sexual and reproductive health and rights both in the United States and globally. A brilliant thinker and gifted communicator, he was a driving force behind the translation of Guttmacher’s research, public education, policy analysis and advocacy expertise into an influential and widely respected public voice that has shaped policy at the state, federal and international levels. Cory also provided visionary leadership as vice president for public policy and head of Guttmacher’s Washington, D.C., office. Combining his nuanced understanding of policy issues with a unique gift for clear and strategic thinking and an unrivaled ability to focus on the big picture, he was the intellectual architect of crucial policy changes that continue to benefit millions of U.S. women and families. He spearheaded the development of Guttmacher’s 1994 report, Uneven and Unequal, which propelled the severe gaps in insurance coverage for contraceptives into the public debate. The report, along with Guttmacher’s strategic and sustained advocacy efforts, launched a drive that led to contraceptive coverage guarantees in 28 states. Ultimately, this drive culminated in the 2010 Affordable Care Act’s requirement—which started to take effect last year—that most women with private insurance receive coverage of contraceptive services without additional out-of-pocket costs. Cory celebrated this as a “game changer” for American women. Another key part of Cory’s legacy is the Guttmacher Policy Review, which he founded in 1998. A quarterly journal that analyzes sexual and reproductive health and rights issues, it quickly became and remains an indispensable tool for those working in the field. The Guttmacher Policy Review exemplifies the Institute’s goal of connecting research to policy analysis and turning both into action. It also echoes Cory’s insistence on looking beyond the immediate political fray to highlight and shape issues before they emerge as central to the public debate or to reframe arguments around entrenched conflicts. For the past 16 years, journal articles written by Guttmacher policy staff and shaped and edited by Cory have not only informed the work of policymakers, media, advocates and others, but have also been cited in U.S. Supreme Court decisions and have been entered into the Congressional Record. A dedicated mentor who trained generations of young professionals to become effective leaders, Cory was content to let the spotlight shine on those whose talents he believed in and cultivated and whom he encouraged to accomplish more than they ever thought they could. Always in search of new thinking, new information and new ideas, he made those around him challenge their assumptions and defend their conclusions—never failing to enrich and expand their thinking. To his close-knit group of colleagues, some of whom worked alongside him for decades, Cory was a nurturing friend and leader and an inspiring presence in their lives. Almost 40 years after he first walked through our doors, Cory’s commitment to the Institute’s mission remained steadfast and unflagging, a reflection of his dedication to social justice and to actions that address the needs, concerns and rights of the disadvantaged in our society. Tellingly, the issue about which he was perhaps most passionate was the Hyde Amendment, which prevents federal health insurance programs for the poorest and most vulnerable U.S. women from including coverage for abortion care. Cory had already been at Guttmacher for five years when the U.S. Supreme Court’s 1980 Harris v. McRae decision upheld the constitutionality of the Hyde Amendment. He never got over what he felt to be a cruel policy, emblematic of reproductive injustice. The repeal of the Hyde Amendment was an elusive goal that he worked tirelessly toward and hoped—but, realist that he was, didn’t expect—to see achieved in his lifetime. Beyond Guttmacher, Cory held volunteer leadership positions with a number of prominent organizations in the field, including the American Public Health Association, Global Campaign for Microbicides, NARAL Pro-Choice America, National Abortion Federation, National Family Planning and Reproductive Health Association and Sexuality Information and Education Council of the U.S. (SIECUS). Cory is survived by husband Douglas Mitchell, partner of 23 years whom he married in 2013; his mother and stepfather, Vicki L. and Monty Bergman; and his brother, Scott Richards. Among those who preceded him in death were his aunt, author and activist Tillie Olsen; his previous partner, Peter A. Ryan; and his sister, Sandy R. Daniels. Cory leaves a void that will be difficult to fill. He will be acutely missed by his family, his friends, his colleagues at Guttmacher and the sexual and reproductive health community he served with such dedication and skill. In lieu of flowers, donations in Cory's memory can be made to Central High School, Omaha, Nebraska; Yale University; or the Guttmacher Institute.